In yesterday’s post, I gave you suggestions for songs I have used with my students for brain breaks. Music is the perfect cure for the spring fever wiggles. 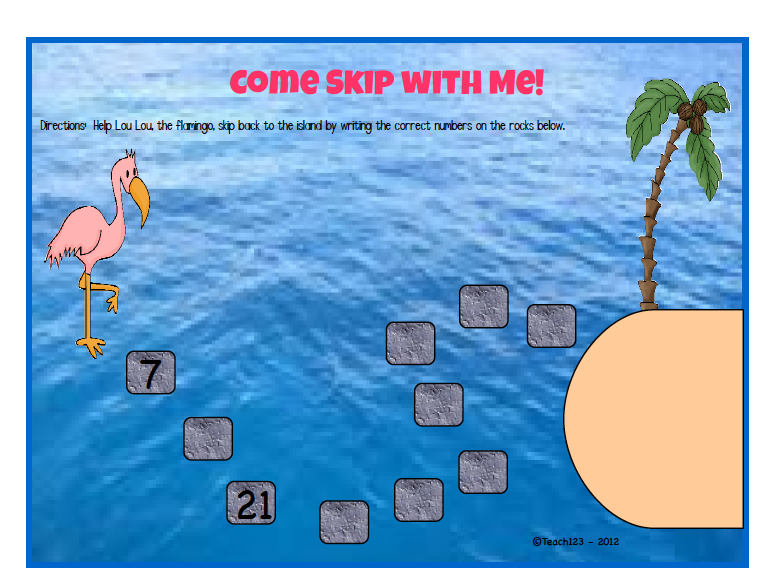 I included a skip counting by 2’s math center in my Skip Counting Birds packet for you to try. 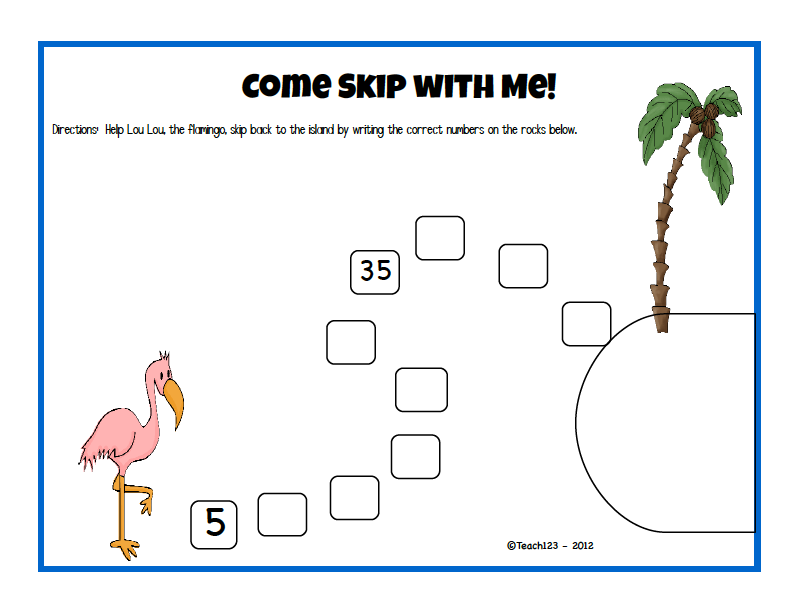 If you like the activity and would like the set of skip counting by 2’s, 3’s, 4’s, 5’s, 6’s, 7’s, 8’s, 9’s, and 10’s, you can purchase the complete set at my TPT store for $3. There is a colorful page like this for each number. I would suggest putting these sheets in a page protector and letting your students write their answer with a marker. There is also a page like this that students can color. Here’s a fun rap video you can show your class, too. I totally agree with you on movement. 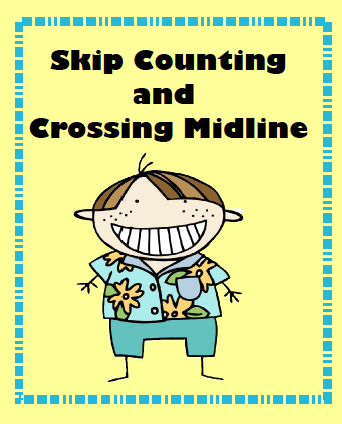 I'm always looking for ways for my little darlin's to move around the classroom instead of working with paper and pencil. The Brain Dance is another great movement activity to do every day. If you haven't done the Brain Dance, you might want to give it a try. Movement is important in the classroom. Thank you for sharing these ideas! I a big fan of using movement in the classroom! Why don't you link this post up to Rachel's Move to Learn linky over at Minds in Bloom? It's a great fit! Good idea! I did link up with Rachel's linky party.